The concept is simple. Sixteen teams remain and we’ve highlighted one guy from each squad who can spark his team to two wins this weekend. Four of the teams still alive will cut down the nets in their respective regions this weekend, and these sixteen guys are the stars, role players, and x-factors capable of making it happen for their team. Happ has just been unbelievable this season. I’m honestly not sure how many more people I can inform about Happ leading the Big Ten in steals. I can’t stop saying it. There are no more human beings left who I have failed to inform that 6’11 center Ethan Happ led the Big Ten Conference in steals. But Happ’s role is crucial in one area, on both ends of the floor: if the referees are calling fouls on Happ or on the players covering Happ, it can change a game. Obviously, if he picks up cheap fouls on defense, he puts the Badgers in a tough spot, like he did for most of the first half against Villanova. He needs to alter shots at the rim and snag post entry passes without sending himself to the bench in foul trouble. Offensively, his arsenal of post moves can be deadly, and force defenders to grab or slash his arms to prevent an easy bucket. Happ, unfortunately, has managed to sink only 49 percent of his free throws this season. Leaving that many points on the board is death at this stage of the tournament. Yes, he is the son of Rick Barry. Yes, Rick Barry is 72 years old and has a son in college. Yes, Canyon shoots his free throws underhand like his father. Yes, he makes 88 percent of his foul shot attempts. Yes, his name is actually Canyon. Now, with all of that out of the way, we can discuss Barry’s actual effect on the Florida offense. He may be the most effective and important bench player in this tournament. The 6’6 transfer from College of Charleston brings a scoring punch off the Gator’s bench, as one of three Florida players averaging double figure scoring. In college basketball, where many teams are lucky to have even three effective players on their bench, Mike White has the benefit of injecting instant offense into his lineup by inserting Barry. Against an efficient Wisconsin squad, Florida is lucky to be able to answer with a bench option like Barry. Baylor is Motley, Lacomte, Acuil, and like six guys who could play tight end for the football team. It's a lot of fun. Johnathan Motley is the team’s best player and Jo Lual-Acuil is a rim protector in the middle. The thing that separates this Baylor team from the hard-nosed, defensive-minded Bears teams of years past is the presence of transfer point guard Manu Lacomte. Baylor teams in recent past who have been upset early in the tournament have had scorers like Motley, Taurean Prince, and Rico Gathers, but no guards capable of driving the offense and relieving the bigs from double teams. Lacomte is capable of that and more, having averaged 4 assists per game and shot better than 40 percent from 3-point land. Down the stretch of games, its Lacomte, not Motley, who finds the ball in his hands. Often times his purpose is to find Motley or Ish Wainwright or other scoring options, but for the first time in a long time, Scott Drew has a reliable floor general to initiate the Baylor offense. The senior guard has been among the most unheralded stars in college basketball this season. He averaged 21 points and 7 rebounds per game, won SEC Player of the Year, and led the conference in points, steals, free throws and PER. Despite all of that, it took a victory over Duke in the NCAA Tournament to put Thornwell’s name on the map. Don’t make that mistake again. South Carolina is going to bring the hammer on the defensive side of the ball and Thornwell is going to make every sure everyone watching at Madison Square Garden on Friday night knows his name. We’ve seen in recent years, teams who make a run to the championship game or Final Four shift to another gear during tournament play. Jeremy Lamb became a real scoring threat for UConn in 2011. Justise Winslow elevated himself to new heights during Duke’s 2014 run. Last season, Phil Booth gave Villanova a real boost off the bench (my apologies to Villanova fans reading this after the Wildcats lost early without Booth this season). Collins has a chance to be that next level performer for the Zags this March. He’s matched or topped his 10 point per game scoring average in both tournament games thus far and would appear to have the chance to do so again versus West Virginia. The Mountaineers frontcourt is small and thin, prime for the picking for Collins off the Zags bench. His ability to move laterally and hedge pick-and-rolls may have him on the floor in crunch time like we saw as Northwestern made its comeback, as opposed to the larger and slower Przemek Karnowski. Collins is rising up draft boards and is certain to catch more eyes this weekend. Zags fans like myself are rooting for the program to reach its first ever Final Four, though Collins returning for his sophomore season could prove to be quite the consolation prize. West Virginia’s strategy against Gonzaga will be typical of the Mountaineers style this season, and every season under Bob Huggins. 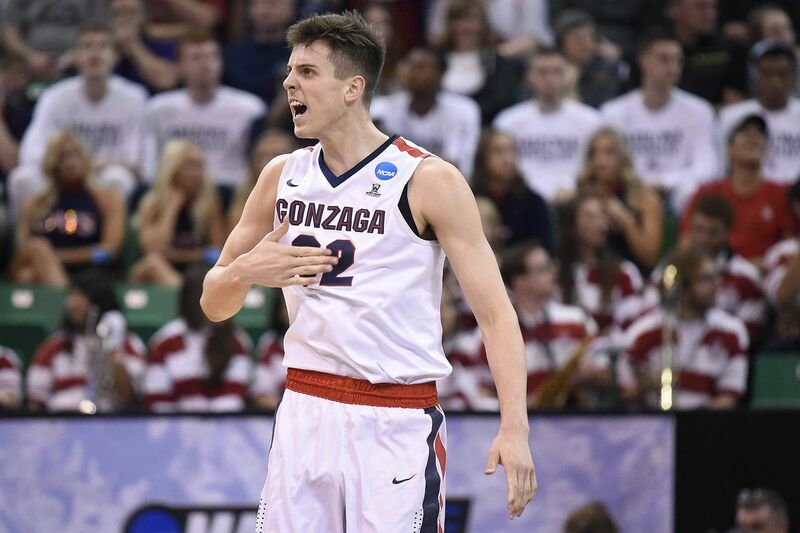 The Zags will face constant full-court pressure. Adrian typically sets the top of the Mountaineer press, guarding the inbounder and doubling as soon as the ball is in, while also playing as the center in the West Virginia lineup. That could cause serious issues, if the Zags can break the pressure and get West Virginia into the half court. Adrian will be scrambling to find and battle with Gonzaga’s frontcourt players. Even if he’s in position, Adrian is at a disadvantage against each of the three Gonzaga big men. Adrian is listed at 6’9, with his opponents in the Gonzaga lineup all as bigger or bigger. Johnathan Williams matches Adrian at 6’9, Zach Collins is 7’0, and shaved Grizzly bear Przemek Karnowski is 7’1 and and 300 pounds. If Gonzaga can break the press and enter the ball into the post, Adrian is in a difficult position. His ability to slow the Zags interior offense could be a key to this game. In his last six games, Bluiett is averaging 22 points and 6 rebounds, while carrying the ghost of the 2017 Xavier Musketeers on his back. Between February 8 and March 8, Xavier was just 3-6 and, this cannot be stressed enough, ALL THREE WINS WERE AGAINST DEPAUL. Xavier was dead in the water, with point guard Edmond Sumner out for the season. Bluiett has refused to let the Musketeers season end, though Thursday will offer his toughest test yet. Arizona is stacked with defensive-minded guards and swingmen, all of whom will cause fits for Bluiett. Kadeem Allen, Rawle Atkins, and Allonzo Trier are likely to be locked onto Bluiett all night long with one simple task: keep the ball out of his hands. 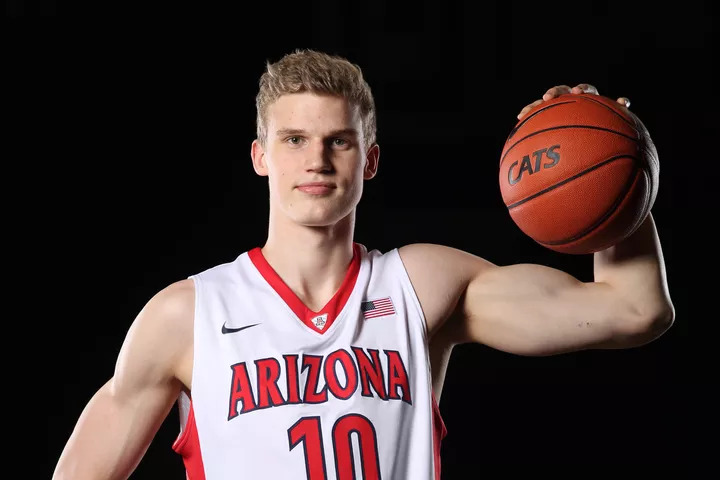 Without peaking ahead to a potential Arizona-Gonzaga rematch, no player in the Sweet Sixteen could better highlight Gonzaga’s weaknesses than Lauri Markkanen. When the teams met in December, Markkanen scored 14 points and 8 rebounds, but the Wildcats did not have slashing guard Allonzo Trier. More importantly, the Arizona coaching staff didn’t have the luxury of viewing Gonzaga’s loss to BYU. Cougar center Erik Mika forced the Zag big men to play all over the paint, responding to shot fakes, quick cuts, and post moves. Markkanen is even more dynamic than Mika, able to step outside of the arc and get to the rim off the dribble. Sean Miller could use his Finnish phenom to replicate BYU’s success against Gonzaga and earn a spot in the Final Four. You know, if we even get that game. The Kansas freshman has had a roller coaster season. More recently, it has been marred by his off-the-court mistakes, namely an incident in which he caused severe damage to the car of a teammate’s ex-girlfriend and reportedly threatened to “beat” her. The woman in question was suspended from the women’s basketball team at KU, while Jackson went weeks and weeks without receiving any consequences. Reports say Jackson was only questioned by police once, and Jayhawks coach Bill Self was present for the entire interview. Jackson was eventually suspended, for the Jayhawks loss in the Big XII Tournament. Because the freshman is projected as a top pick in the NBA Draft and highly unlikely to stay at Kansas beyond this year, he may escape Lawrence without further ramifications. NBA scouts may feel differently, as they decide if Jackson made an alcohol fueled mistake or if this incident was indicative of inherent character flaws. If Jackson is shooting that well from beyond, he’s the best player in this tournament. The only flaw in his game at that point would be his free throw shooting, where he managed just 57 percent this season. I’ve espoused a lot of love lately for Swanigan, even endorsing him for National Player of the Year honors. If there’s a match-up that can show his flaws and his strengths, it’s the one we’ll see as “Biggie” battles Kansas on Thursday night. The Jayhwaks have spread the floor with a four guard lineup, which would test Swanigan’s foot speed and versatility. Bill Self is going to do everything he can to isolate Swanigan and make him chase quicker players around screens or onto switches. Swanigan’s ability (or lack thereof) to contain the Jayhawk guards from entering the paint when he’s hedging screens or left on a switch will determine Purdue’s defense efficiency in this game. Conversely, Kansas has exactly one player capable of even trying to body with Swanigan on the block, senior center Landen Lucas. 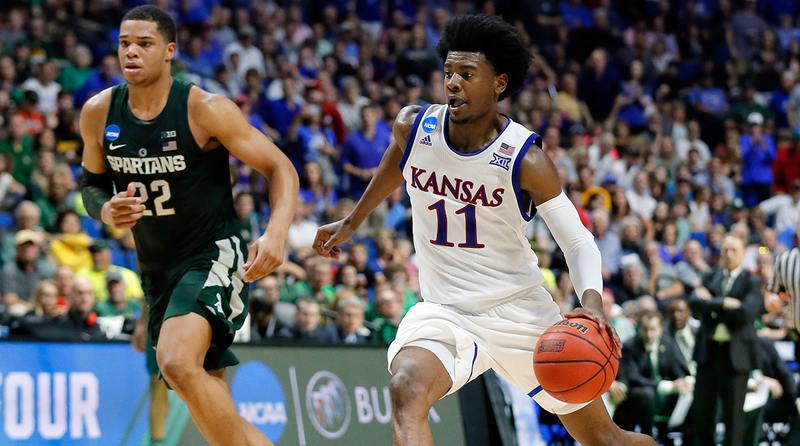 Beyond Lucas, the Kansas frontcourt is too small and too ineffective to stop Swanigan inside. Matt Painter could force Self’s hand by playing Isaac Haas at center and Biggie at power forward. Defensively against a small Kansas team, that could be suicide, yet the Boilermakers would control the paint and the glass with ease if Painter played his twin towers together. With Oregon’s rim protector, Chris Boucher, out for the season with a torn ACL, Bell’s role in the frontcourt takes on greater importance. The 6’9 forward needs to control the glass and protect the paint for the Ducks. Oregon relies on Bell to bring energy and hustle plays whenever he’s on the floor. Against a Michigan team with a stable of versatile, skilled big men, Bell’s role takes on greater importance. Dana Altman doesn’t need to worry about getting scoring from Dillon Brooks, Tyler Dorsey, and Payton Pritchard. That will come. The Ducks will advance beyond the Sweet Sixteen not because of their offense, but because their defense, anchored by Bell, finds an answer for the potent Michigan offense. Michigan’s response to the Chris Boucher injury hinges on the offensive ability of its three frontcourt players, DJ Wilson, Duncan Robinson, and Mortiz Wagner. Of the three, Wagner is the most capable of making Jordan Bell work in the paint or chase on the perimeter. The 6’11 German sophomore has found success at the rim, where he is shooting 76 percent this season, and beyond the arc, stroking 40 percent of his attempts from out there. If Wagner (and yes, that’s pronounced “Vogner”) can match Bell’s energy and force the Ducks to send a second defender his way, Michigan’s offense has a chance to be just as effective against Oregon as it was in the first two rounds of tournament play. Butler is going to try like hell to slow North Carolina down to a more reasonable tempo. Tar Heel scorers Joel Berry and Justin Jackson are more effective going a mile per minute and often struggle when confined to the half court. 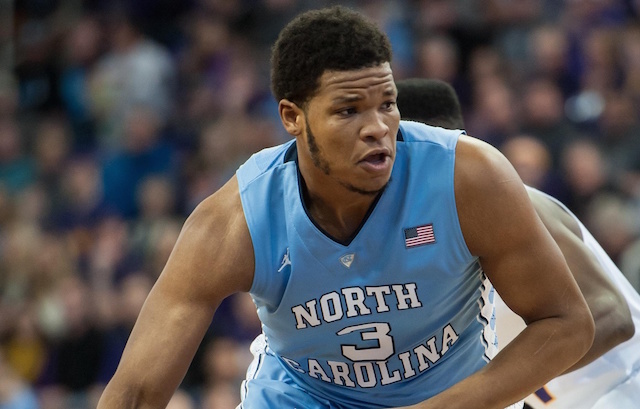 If Butler can slow the pace, Meeks becomes incredibly important on both ends of the floor. The senior center will need to own the defensive glass, allowing the Heels chances to catch an outlet pass and run in transition. Offensively, when the tempo slows, Meeks will have a chance to score on the post or draw fouls against Butler’s rotation. Establishing Meeks inside will be like a football team pounding the ball up the middle to set up everything else it is looking to accomplish. If you like college basketball because of the weird quirks and flaws of its players, this is the perfect guy for you. Chrabascz (which is pronounced like you’re saying “Travis” while sneezing) plays like the 45 year old man at the YMCA who wins five games in a row. In the proud college basketball tradition of Georges Niang and Sean May, Chrabascz is an undersized power forward with a litany of post moves and goofy hook shots. When he catches the ball in or near the paint, the Andrew Chrabascz Experience begins, usually with a few back down dribbles. Then he twists, turns, shimmies, and shakes his way to the basket or an opening where he can toss up a baby hook, scoop layup, or what looks like a shotput toss at the basket, and with wild regularity sinks it for two points. He’s an adept passer and cutter, churning the Butler offense’s motion. If you enjoyed basketball in 1967, watch the work of possible time traveler Andrew Chrabascz. 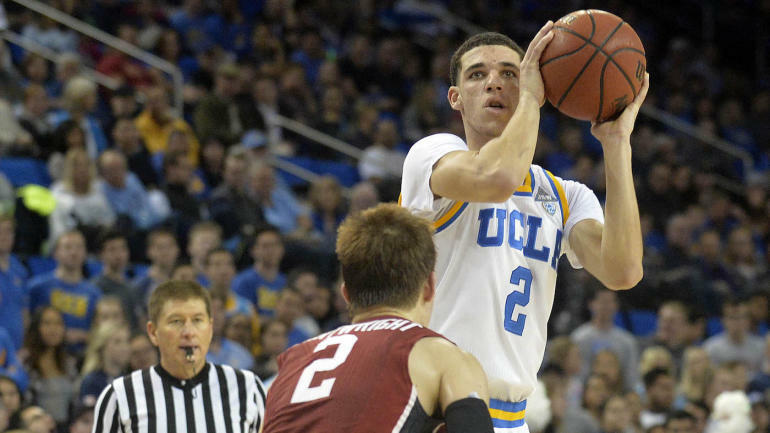 There are really two distinct ways to view Lonzo Ball: as a college player and as an NBA prospect. Separating those two sides of the coin allows for a more realistic and nuanced approach to seeing Ball’s potential in this tournament and beyond. Despite shooting a red hot 42 percent from outside the arc, Ball’s future as a knockdown shooter isn’t so clear. Andrew Johnson of Nylon Calculus has researched and demonstrated that when projecting a player’s outside shooting into the next level, free throw shooting could be as indicative a factor as college 3-point shooting. Ball, for example, only shoots 67 percent from the free throw line, which could suggest that his shooting form works in rhythm or when he’s wide open, but is fundamentally broken. Looking at those numbers, it’s crucial to remember it was Ball who was flanked by talented players at UCLA and Fultz who was on an island and being coached by (the now fired) Lorenzo Romar. But like I said, there’s value in keeping perspective about Ball. As an NBA prospect, there are questions. As a college player, there is much less to worry about. He is the catalyst of America’s most dynamic offensive attack, capable of spurring an 10-0 run at any moment in the game. Ball’s success at the college level, and UCLA’s this season, will be determined on the defensive end. With his athletic profile, there’s no reason Ball shouldn’t be a solid defender, but he’s shown flashes of lazy or sub-par defense (For the record, so did Fultz). UCLA is looking to be the first team to win a championship by outscoring opponents in over a decade. 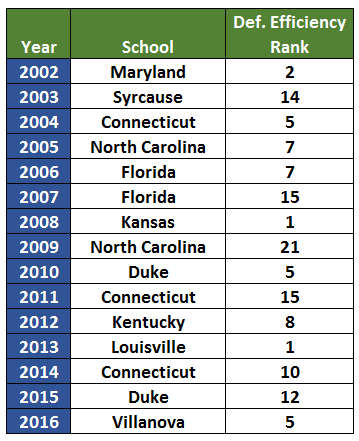 Since 2002 and the inception of Ken Pomeroy’s rankings, no team has won the NCAA Tournament without finishing in the top 21 of his defensive efficiency rankings. Though a run through the tournament could help the Bruins rise in those rankings, the Bruins currently sit 77th in defensive efficiency this season. For UCLA to win the championship, Ball would need to lead their offense to unprecedented heights over the next four games. He’s been great this year, but that may be too tall a mountain to climb. The Kentucky guards get a ton of credit, as well they should, but it may be Adebayo who sparks a Kentucky run to the Final Four. Looking ahead to the Wildcats’ match-ups in the Sweet Sixteen and Elite Eight, the man they call “Bam” has his work cut out for him. UCLA plays three bigs who can be a real factor in any game: scorer TJ Leaf, shooter and rebounder Thomas Welch, and energy man Ike Anigbogu. If Adebayo is capable of keep Welch quiet and out-working Anigbogu, Kentucky’s guards will have the chance to make plays in the open court. At some point, a dunk by Adebayo or Anigbogu is going to cap a big run and cause the opposing coach to call timeout as the crowd roars. Adebayo can bring juice to the Kentucky huddle that De’Aaron Fox and Malik Monk can thrive off of. If Kentucky advances, more stiff competition lies ahead with North Carolina’s Kennedy Meeks and Isaiah Hicks or Chrabascz from Butler, who would present a unique challenge for Adebayo.